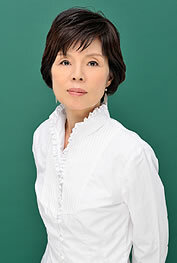 Yoshiko Ikuma is a music journalist and critic. She graduated from Tokyo College of Music and worked at a record company before serving as Chief Editor at the piano magazine *Chopin*. Since then she has worked freelance. She started writing with the aim of introducing classical music to the wider public. She has contributed to music magazines, newspapers, popular magazines, information journals, and Internet sites. Ikuma has interviewed numerous artists, and at times has sat down to talk with up to 70 different artists in a year. She believes that classical music is her “lifelong friend” and through her writings hopes to communicate each artist’s performance, character, philosophy on life and music to her audience. Copyright© yoshikoikuma.jp All Rights Reserved.